You can help out local U.S. troops simply by donating your excess Halloween candy. There are dental practices that participate in Halloween Candy Buy Back, where dentists pay $1.00 per pound for Halloween candy that you bring in and they send the candy to U.S. military troops. Click here to locate a dental practice near you that participates in Halloween Candy Buy Back. 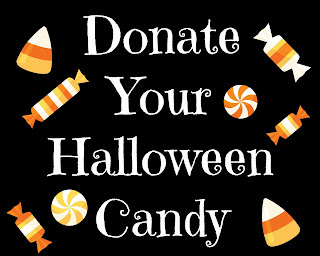 Donating your extra Halloween candy can be a sweet and easy way to give back!